EXTINCTIONS Business Services is a results-oriented company, trusted around the world as a leader in the fossil industry. We are regarded as experts in grading the quality and rarity of fossils, as well as the value of these fossils. 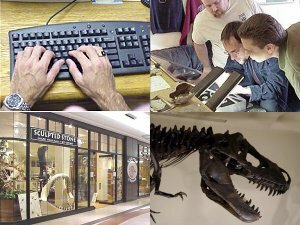 We created this website to showcase the wide range of fossil-related services we offer. We specialize in fossil collection appraisals for tax and insurance purposes. Our consulting team is one of the most respected in the industry. We offer everything from fossil collection dispersals to fossil website development and hosting. Please examine the many services we provide, and see if we can help make your fossil future brighter! Any questions? Please contact us. If you are looking to start a fossil business, launch a fossil website, acquire fossils for a collection or investment purposes, or looking for an appraisal of an existing fossil collection, EXTINCTIONS Business Services can help.